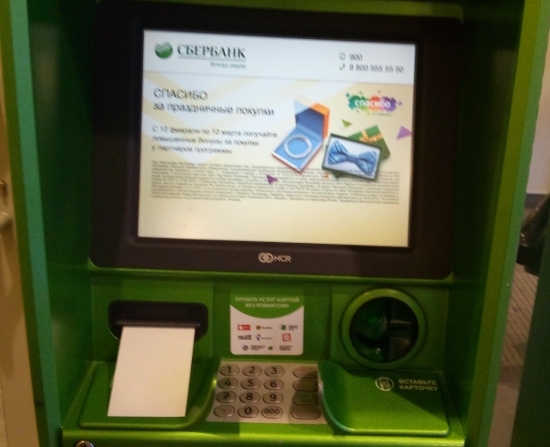 If you have a sberbank card and prefer paying at ATM, this payment method will be the best option for you. 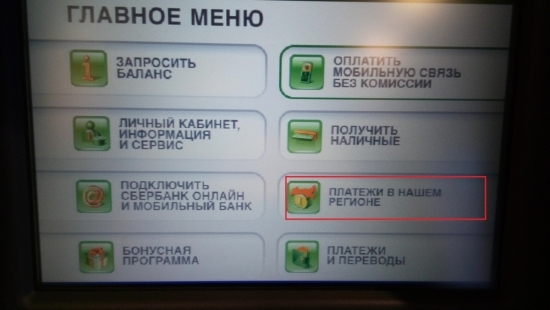 Let's have a look how to do it at Sberbank ATM. 1. 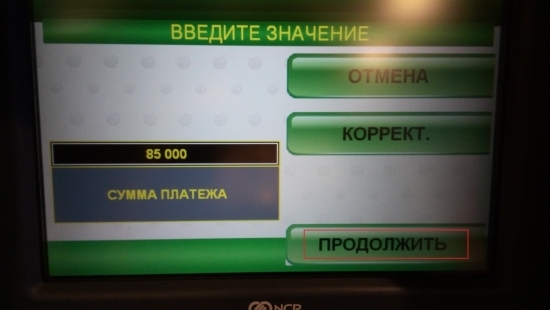 Insert your card into the ATM and enter a 4-digit-password. 2. 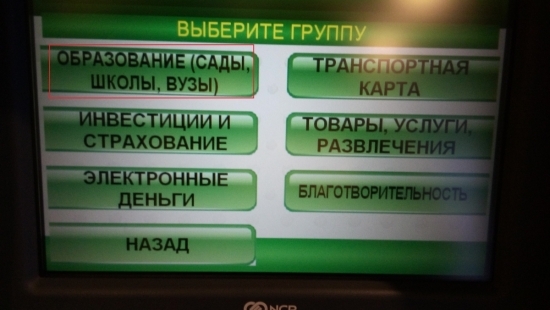 In the main menu choose "ПЛАТЕЖИ В НАШЕМ РЕГИОНЕ". 3. Then press on "ДРУГИЕ КАТЕГОРИИ". 4. 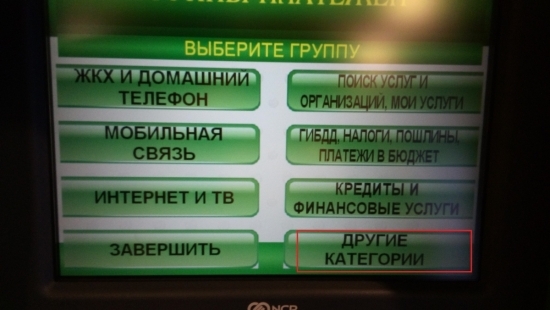 Select the section "ОБРАЗОВАНИЕ (САДЫ, ШКОЛЫ, ВУЗЫ)". 5. 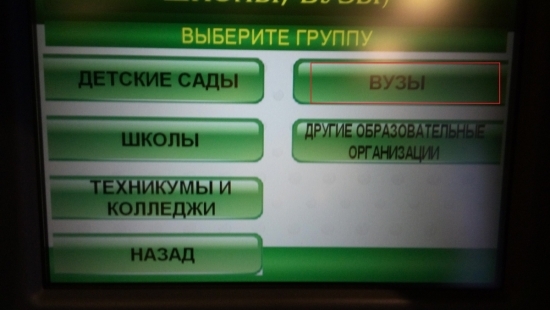 Your next choice will be "ВУЗЫ". 6. From the list of higher education institutions choose "УГТУ (ОБУЧЕНИЕ В ГОЛОВНОМ ФИЛИАЛЕ)". 7. Now you need to enter some details about the person, whose tuition fees are going to be paid. Start with the full name. After this press on "ВВОД". 8. 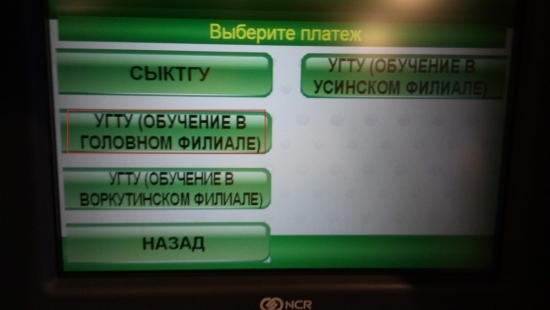 Select your status - "СТУДЕНТ" (student) or "АБИТУРИЕНТ" (entrant). 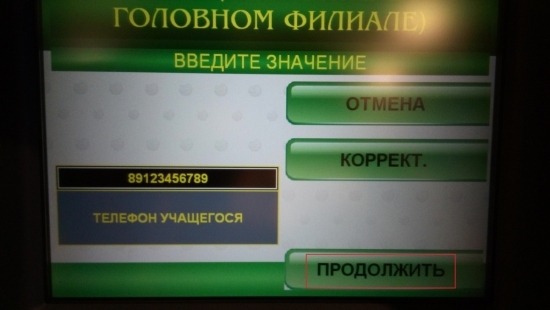 Continue the process by pressing on "ПРОДОЛЖИТЬ". 9. Enter the name of your group or your specialty. 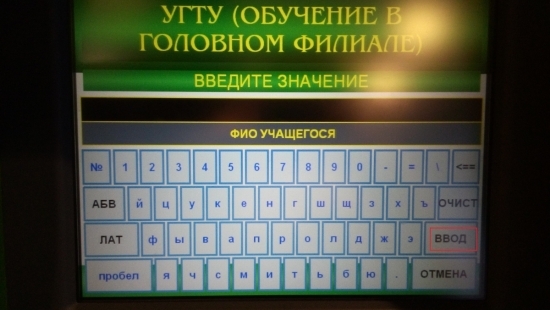 Press on "ВВОД". 10. 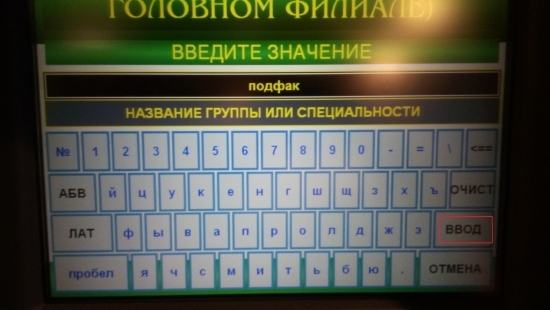 Enter your phone number and press on "ПРОДОЛЖИТЬ". 11. Now type the amount of money you are going to charge. 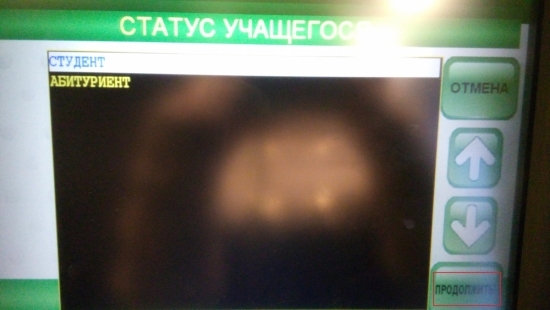 Press on "ПРОДОЛЖИТЬ". 12. 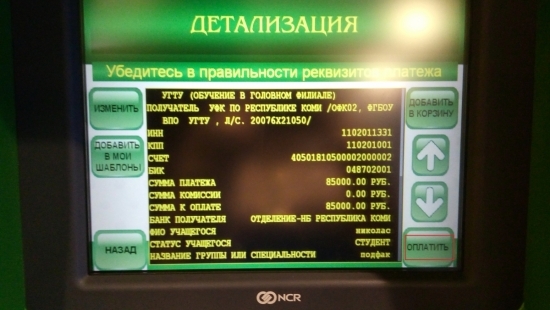 The last step is to check all the details of the payment and confirm it by pressing on "ОПЛАТИТЬ". 13. The payment is complete now! Do not forget to take your receipt.